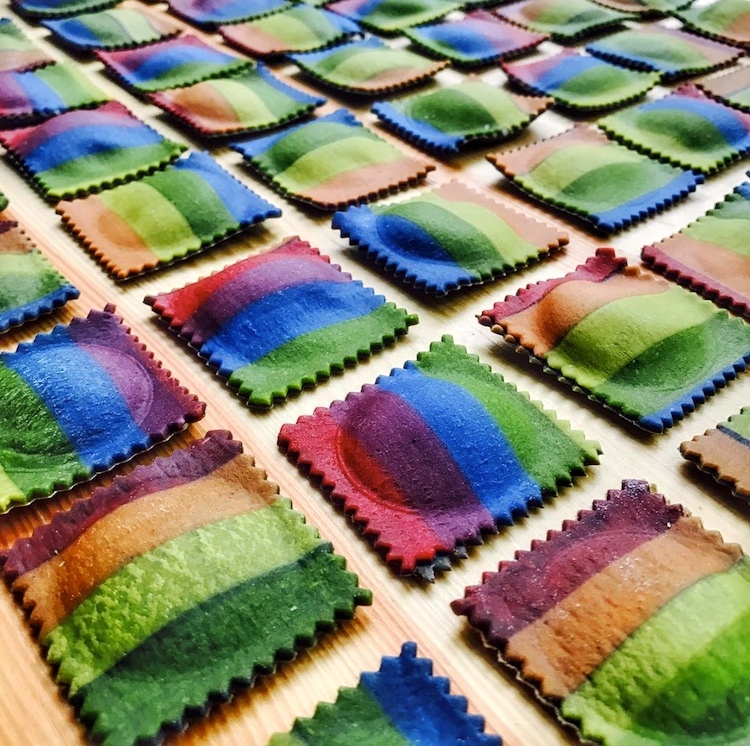 Beautiful, and colored with only natural ingredients. 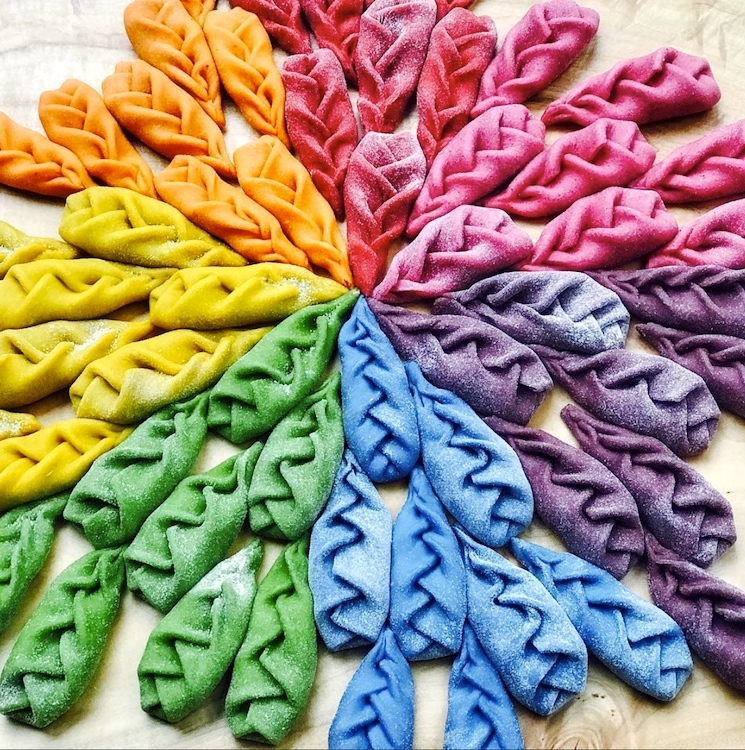 She makes an extraordinary range of pastas, with many color schemes. 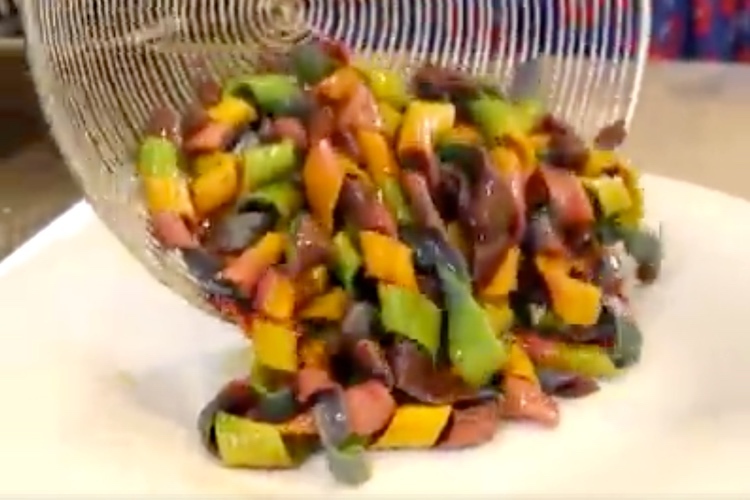 This entry was posted on July 28, 2018 at 8:13 pm and is filed under Language and food, Rainbow. You can follow any responses to this entry through the RSS 2.0 feed. You can leave a response, or trackback from your own site. I wonder how well these things hold their color when cooked.